In January, representatives of dozens of countries will gather in Geneva to discuss combating mercury emissions. But the extent to which countries will commit to reducing mercury, and whether they will follow through on those commitments, are open questions. “What remains to be seen is the stringency of the requirements,” said Noelle Eckley Selin, an assistant professor of engineering systems and atmospheric chemistry at the Massachusetts Institute of Technology. Our paper investigating how air quality modeling resolution impacts the uncertainties estimated in the human health response to air pollution is now out in Atmospheric Chemistry and Physics. Our paper describing the development of an atmospheric chemical transport model to track the global transport of PAHs is profiled in MIT News and featured on the Joint Program on the Science and Policy of Global Change's web site. Click here for the original study. The text of this report on NBC news references our assessment of Chinese pollution costs, published in Global Environmental Change this month. Click here for the original study. Our paper about the economic implications of air pollution to the Chinese economy, out in the February issue of Global Environmental Change, is featured today in MIT News. 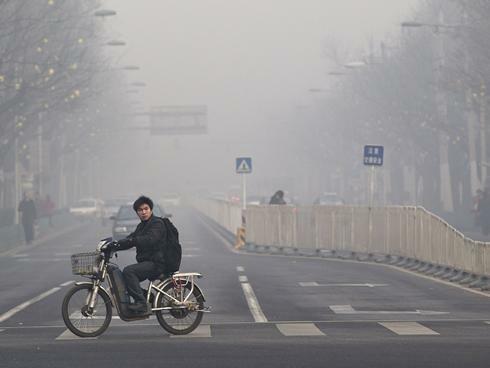 See the link here: China’s pollution puts a dent in its economy - MIT News Office. On Friday, January 27th, EPA Assistant Administrator for Air and Radiation Gina McCarthy came to MIT to talk with the Joint Program on the Science and Policy of Global Change, and spoke with a panel including Noelle Selin. Topics of discussion included energy, climate, and mercury. See below for an MIT news office article on the event. EPA air chief talks energy, environment with MIT experts - MIT News Office. MIT researcher: U.S. taking leadership on mercury in the environment - MIT News Office.